The feud between Eminem and Machine Gun Kelly shows no sign of slowing down, with new shots fired from the younger rapper. Eminem’s scathing diss track, Killshot, took aim at MGK, calling out his relative lack of success, his man bun and even his choice of breakfast cereals. Eminem used the track to obliterate any supposed similarities between himself and MGK, blazing ‘My biggest flops are your greatest hits’. Ouch. Hope MGK didn't respond to #Killshot bait. Because Killshot song still kills him even though Eminem just goes easy on him. A true fan knows that Em still reserved some bar in his pocket if MGK responds to it. That's what battle rapper mind always do. However, it seems MGK has reacted to this dismissive treatment with some disdainful words of his own. 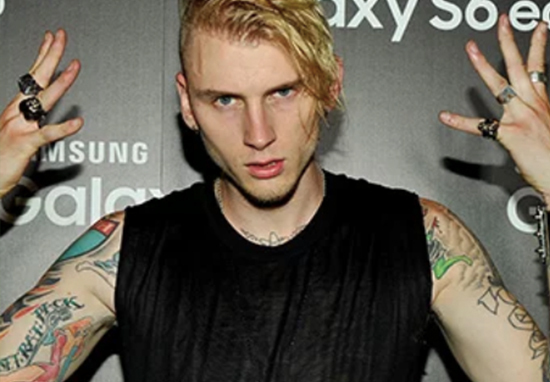 Responding to his former idol’s harsh critique, MGK has basically just given a massive ‘meh’, appearing pretty nonchalant about being ripped apart by one of the biggest living legends in rap. MGK gave the diss track a so-so ‘6 out of 10’ and mocked Em for being slow to respond to Rap Devil, noting how it had taken him two full weeks to launch his counter-attack. Within minutes of calling Eminem out, MGK announced a brand new EP entitled Binge, scheduled for September 21. MGK’s last studio album, Bloom, was released back in 2017, and his ongoing feud with Eminem will no doubt stoke interest in this upcoming project. No word as of yet as to whether MGK will be releasing another diss track in response to Killshot, although this prospect feels pretty inevitable. The pressure will be on for the Rap Devil musician to be as good as his word, and release a diss track in a timely fashion. Opinions on MGK’s response have been mixed. Some people have mocked his apparent attempts to be ‘edgy and cool’, while others have praised him for standing up for himself. Many people thought the focus on timescale rather than lyrical content was a classic case of missing the point; remarking upon Em’s hectic schedule and superior talent. First off, it was one interview split into parts. Em was right, "know your facts before you come at me lil goof". Second off he did way more in 2 weeks than you could have ever done in your career. Are you sure you still wanna "talk about it"? So the question remains, did MGK get completely owned this time, or is he still putting up a good fight?